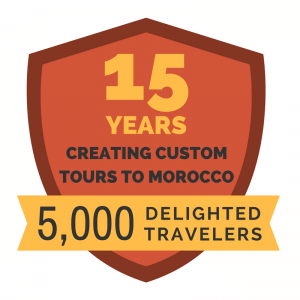 Morocco, located in Northern Africa, is not only a top tourist destination for those looking to soak up the history and culture of this country’s past, but is a wonderful choice for those looking for a romantic getaway or honeymoon. Offering starry nights in the Sahara, captivating cities of Fes and Marrakech and calm beaches in Essaouira, Morocco is a perfect location to spend with your loved one. Morocco welcomes thousands of honeymooners each year. The country offers a wonderfully warm climate and a host of great activities and sights which can be explored. If you are looking for a romantic way to spend your Moroccan vacation, then here are some sights and attractions you definitely need to add to your list. The highest waterfalls in Morocco, Cascades d’Ouzoud, are a wonderful romantic setting in Morocco. They are located only 18 kilometers from the beautiful imperial city of Marrakech. These spectacular waterfalls crash down into the pools below. You can take a path down to the base where you can view the falls from the bottom and even take a boat to the main pool for a really outstanding experience. You’ll find many locals swimming in the smaller pools, cooling off on a hot day. Feel free to join them before making your way back up the path! If you and your spouse want to spend the night at the falls, you can arrange it with your tour operator. Enjoy your romantic vacation in luxury. Morocco is home to some of the most beautiful beaches and the many beach resorts offer extravagance with outdoor pools, fantastic restaurants and spacious guest accommodation. On your list should definitely be the coastal city of Essaouira which is known for its beach and great waves. If you are feeling adventurous, try some water activities such as kitesurfing or kayaking. Many of the resorts here offer spas, where you can pamper yourselves while holidaying in this stunning country. The medina of Essaouira is a fun place to be explored as well when you aren’t relaxing on the beach. Another beach to visit is Al-Hoecima, located near the Rif Mountains. This is one of the top-rated beaches in Morocco, and locals and tourists alike gather to enjoy the sand and waves. If you and your spouse want to have a more relaxed honeymoon option, think about renting a small beach house. Enjoy cooking for yourselves and the freedom that comes with making your own schedule. If you’re looking for a more adventurous romantic holiday experience, head to the Sahara Desert. Here, you can enjoy the experience of riding a camel through the sandy dunes together. This is spectacular, especially when the sun starts to set and the dunes change color. 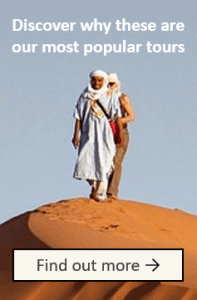 The Sahara Desert is one of the most romantic destinations in Africa for a good reason. The stars are bright and clear and dunes are spread out as far as the eye can see. Spend a night in the Berber tents and wake up early to see the sunrise! 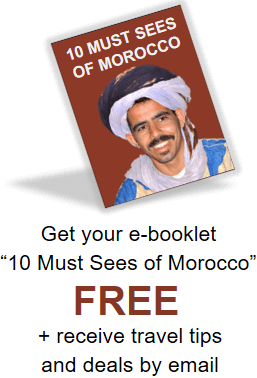 The souks, traditional markets, are part of what make Morocco a wonderful travel destination. Markets may not sound like much, but they are a wonderful part of the Moroccan culture that is very different from many Western countries. You can find anything there, including items such as: carpets, jewelry, pottery, clothing and leather goods. The shops go deep into the Medinas, which are the old towns found in most cities in Morocco. Explore the souks hand in hand as you enjoy picking out and bargaining for souvenirs or Moroccan-style decorations for your home. Stop for lunch at the roadside restaurants and taste some of the best meals available in Morocco! Getting lost is always an adventure, but everyone is friendly and willing to point you in the right direction of landmarks. While wandering around by yourselves is special, a guided tour is also a fun experience. Having someone who understands the structure of the medina and knows where key places such as the tanneries, weavers and Berber pharmacies are is very helpful. Looking for a creative romantic activity? Take a hot air balloon flight over Marrakech. For added beauty, choose the sunrise hot air balloon ride. Enjoy seeing the beauty of Marrakech underneath you! The Jemaa El Fna is one of the must-sees of Morocco. Stop by the side of this big square and order some mint tea or Moroccan desserts. You can watch people go about their daily lives and truly soak in the excitement of being in Morocco together. At night, the square is filled with entertainers, food stalls and fascinating nightlife. 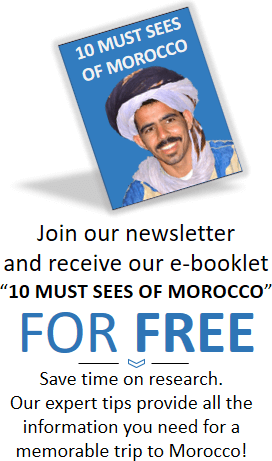 Visit to see the snake charmers and jugglers and try the street food! The Majorelle Gardens are also located in Marrakech. This is a 12 acre garden and is maintained to perfection. The garden was designed by an artist, Jacques Majorelle, and many visitors have called it “magical” and “serene.” Take in the incredible beauty together as a relaxing activity in contrast to the energy of Marrakech. This is a tourist favorite, so if you want a place that might have less people there, try the Menara Gardens that are located near the Atlas Mountains. You can even take a horse and carriage ride there for a special addition! Most roofs in Morocco are flat, so there will be many opportunities for you to try this! Many of the hotels or riads that you stay in will have a beautiful rooftop or terrace for you to enjoy. Ask for your dinner to be served on the roof or terrace, so you can eat under the stars with a view of the city. There are also restaurants and cafes that offer this option. You could get some great pictures of the city at sunset or lit up at night. If you and your spouse are into cooking, it would be fun to cook the dinner yourselves. There are cooking classes that you can take to learn how to cook authentic Moroccan food. Be adventurous and creative! The markets are easy enough to navigate that you can buy ingredients with gestures or a few Arabic phrases. Check out the beautiful Atlas Mountains to get a view of Morocco’s natural scenery. While you are there, you might want to stay in Kasbah Tamadot, which is a luxury riad perfect for a honeymoon or romantic escape. The Atlas Mountains are only about an hour away from Marrakech, so you could go there on a day trip or stay the night if you want a longer experience in this relaxing landscape.